Is Lincoln Road Miami’s New Up and Coming Area? Lincoln Road in South Beach is one of those rare pedestrian-only streets in a city of cars and traffic that reminds one of Barcelona’s tourist-trap Las Ramblas in many ways. Except now several companies, developers, and designers have moved in to rethink Lincoln Road and regentrify the area, producing buildings, stores, and restaurants meant to usher in a new era for the foot traffic on this road. Real estate developer Robert Wennett’s 1111 Lincoln Road is the biggest and showiest of the projects here and seeks to “further Miami’s international prominence as a 21st-century destination for art, commerce, and culture.” While Wennett has managed to pull in several international retailers for his multi-purpose building, it remains to be seen if he will have the same success with Lincoln Road as he has had with his other projects, like the Meatpacking District in Manhattan. If you’re planning a vacation in one of Miami’s luxury villa rentals you may want to head down to Lincoln Road to see for yourself the evolution currently taking place here. 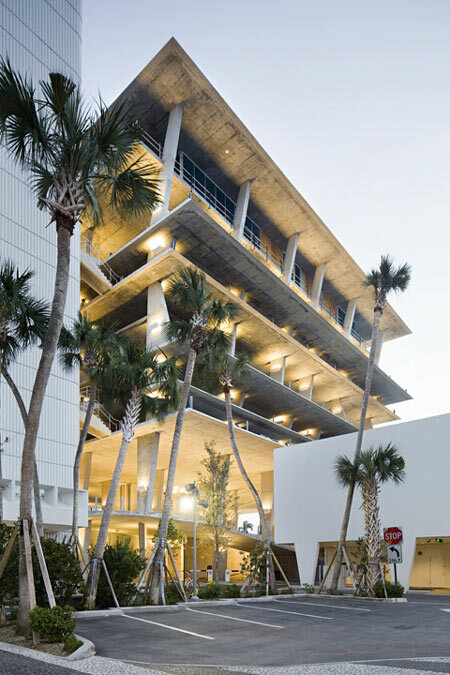 The 1111 Lincoln Road project is the brain child of Wennett and the design of Swiss-based firm Herzog & de Meuron who are responsible for projects like the Tate Modern and the Beijing Bird’s Nest Olympic Stadium, as well, they are the architects for Miami’s new Art Museum. The architects worked with a variety of artists, designers, and landscape architects to bring the idea of 1111 to life. The building, located at the corner of Lincoln Road and Alton Road, has been created as a place where people can shop, dine, live, and park. There is valet parking here and space for 300 cars, a solution for the often onerous task of finding somewhere to leave your car while tackling pedestrian-only Lincoln Road on foot. Wennett, who also worked on the regentrification of areas like DC’s Dupont Circle, recognized that parking is a problem that the area–like most urban centers–faced and sought to create a complex that not only addressed the practical issue, but also brought beauty, modernity and function to a neighborhood that had fallen on tough times. Fronted by a European-style plaza, 1111 Lincoln Road features over 40,000 square feet of retail space occupied by companies like German publisher Taschen and a new Nespresso boutique. The stores have 16 to 30 foot ceilings and boast floor-to-ceiling windows to make the most of the stunning Miami sunshine. Beside the shops there is a Dan Graham designed reflective glass pavilion and a water garden that passersby can enjoy. The building also has room for three street-level restaurants as well as a rooftop one where you can have a romantic, al fresco meal while enjoying views of the surrounding ocean, bay and city. While the shopping and dining opportunities are impressive, the care taken with the parking structure has drawn the attention of many architecture enthusiasts who come from all over to look at this very modern, futuristic-feeling structure of glass and concrete. 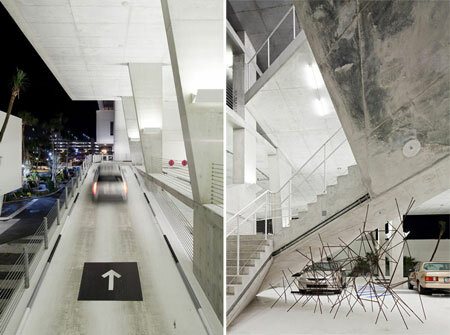 The parking garage features an impressive open concrete staircase and does not have any exterior walls, which makes the building seem airier than one would expect. 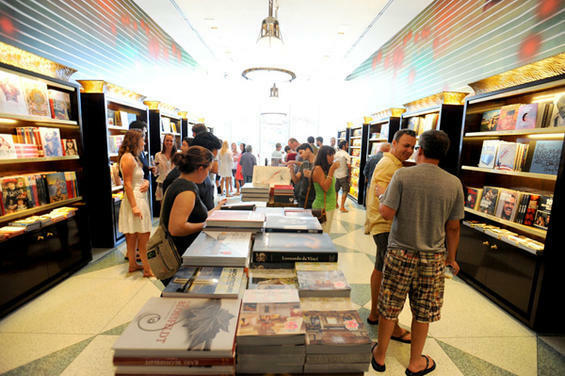 Throughout 2010, several retailers have set up shop at 1111 as well as nearby on Lincoln Road. There is a J. Crew women’s store here as well as the second U.S. All Saints store. Other boutiques on the promenade include Swarovski, Herve Leger, Y-3, MAC, Journelle lingerie, and Italian-based Cascella and Coltori with more to come. There are also local shops like Alchemist, other Brazilian and Italian spots scheduled to open soon, and Florida’s first Shake Shack restaurant. So while Robert Wennett sees 1111 Lincoln Road as a labor of love and a legacy for the next generation it remains to be seen if the developer can work his particular magic on this area in any lasting way. If you do happen to be in Miami, whether in one of the city’s full service luxury villa rentals or just passing through, you should stop in for a stroll along Lincoln Road and see what you think of the progress. This entry was posted on Sunday, September 12th, 2010 at 12:17 pm	and is filed under Miami, Nightlife, Restaurants, Shopping. You can follow any responses to this entry through the RSS 2.0 feed. You can leave a response, or trackback from your own site.